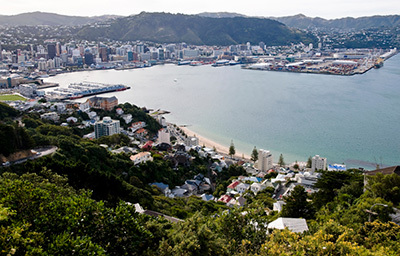 2015 could be the year a decision is made on Wellington becoming New Zealand’s new ‘super-city’, after a Greater Wellington Council was recommended by the Local Government Commission late last year. Incorporating Porirua, the Kapiti Coast, the Hutt Valley and the Wairarapa, the proposal is open for public feedback until 2 March this year, after which public hearings will be held before the Commission. Chapman Tripp partner Paula Brosnahan wrote in a client advisory that a new unitary authority would replace the existing nine councils: Masterton, Carterton, South Wairarapa, Upper Hutt, Hutt City, Wellington, Porirua, Kapiti Coast and the Wellington Regional Council. The end result would be a two-tier structure, with the top tier comprising of a governing body with a Mayor elected by the ratepayers of Greater Wellington and 21 councillors representing eight wards. There would also be 60 members of local boards, one for each ward – Wairarapa, Upper Hutt, Lower Hutt, Kapiti Coast, Porirua-Tawa, Ohariu, Lambton and Rongotai. These would have powers and budgets for local parks and reserves, recreational, community and cultural facilities, decisions about public places such as town centres and main streets, local transport, waste and recycling and local economic development. The changes are expected to create increased demand for legal services during the implementation phase. However, if Wellington follows the path of Auckland, the end result will likely be a shift in the type of work being outsourced to law firms post-amalgamation. An amalgamated council is likely to be able to support a larger in-house legal team if desired, and have a unified approach to outsourcing legal services. As a result, it is likely to have a smaller legal panel or legal spend, with an amalgamated council having more influence on price.